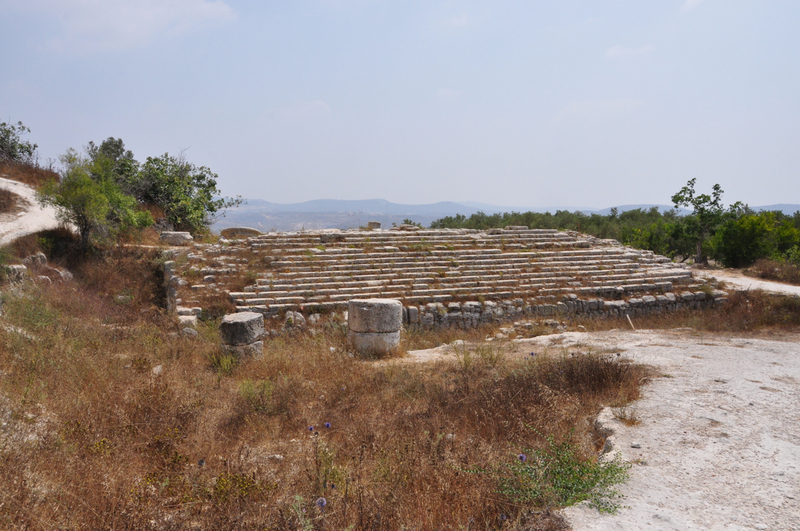 After leaving the archaeological park on Mount Gerizim I went looking for the ancient city of Samaria-Sebaste. 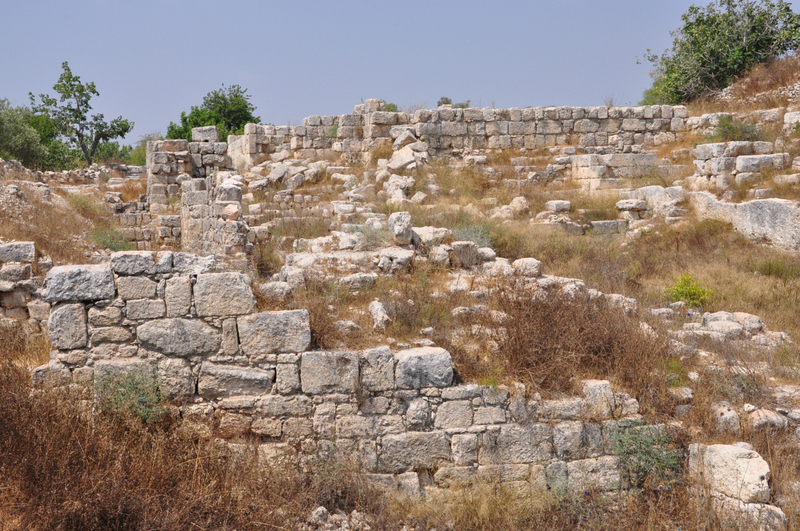 Samaria was the site purchased by Omri for two talents of silver from Shemer and made the capital of the Northern Kingdom of Israel (Kings I 16:24-28). Omri’s son Ahab married the Phoenician princess Jezebel and they built a temple to the pagan god Baal which was later destroyed by Jehu, who had Jezebel and 70 princes of Ahab’s family killed. Sebaste, was the Greek equivalent of the Latin Augusta, was Herod’s name for the city when the area was given to him by the Emperor Augustus. 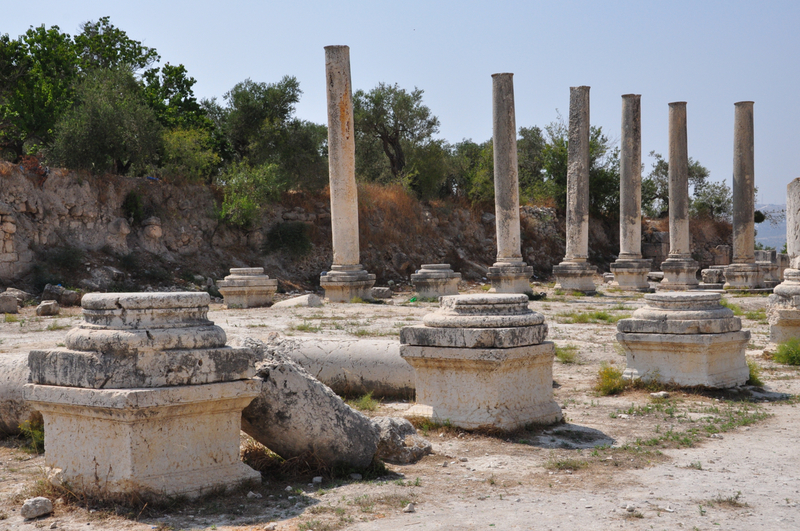 Herod rebuilt the city, in full Roman style, a kilometer long cardo of 600 columns, a forum, a Roman basilica, stadium, temple, hippodrome and theater surrounded by a wall and gates. I picked up 2 trampistim (hitchhikers) who were on their way to Shavei Shomron who pointed me in the right direction to Samaria-Sebaste. The road loops around the settlement, a tall concrete separation wall on the left and then heads north. 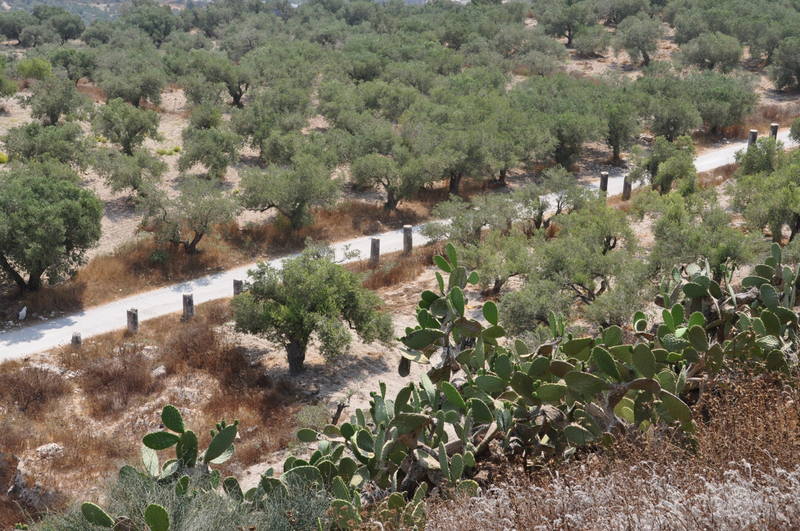 I stopped for directions at an impromptu stand by the side of the road where a Palestinian fellow was selling two kinds of plums, yellow and purple ones – he gave me 2 to taste and pointed to a dirt road on the right heading up the hill. The road is passable by car, just. 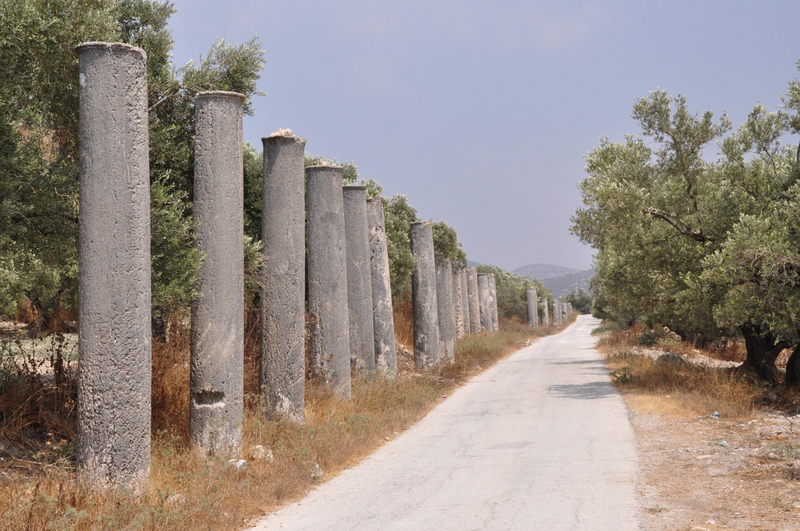 A short drive and I was on a straight road through a grove of olive trees with two rows of Roman columns, standing along the road and in a row among the trees (cardo). Continuing along the road I passed some excavated ruins and noticed a set of stairs to the left going up the hill (acropolis) as I approached the town. Left turn and I pulled into an open area (forum) bordered by rows of columns and parked the car. A fellow stepped out of the Samaria restaurant and souvenir shop and greeted me. Sari, who had lived in Alabama for a number of years, there are decals of Alabama sports teams on the window, introduced himself and offered to show me around. First stop was the Hellenistic tower and Roman theater. From there we walked to the top of the hill, the acropolis where Herod built a temple to Augustus over the administrative buildings and parts of the palace of Omri from the 8th century BCE. 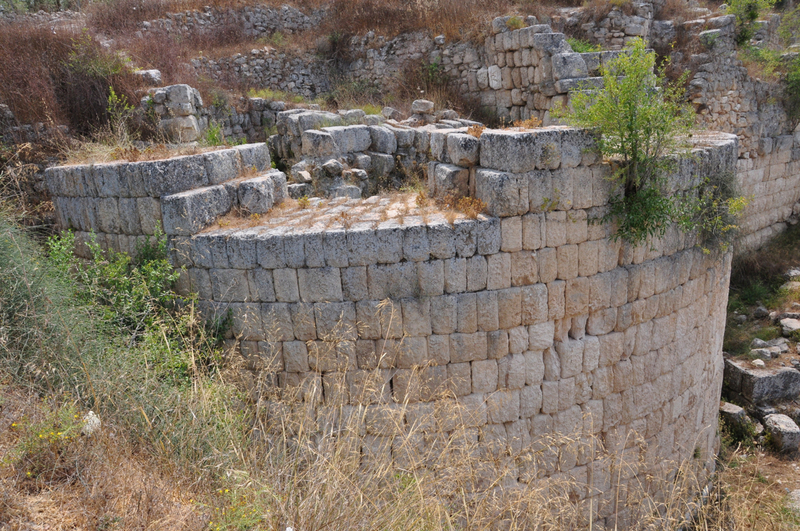 There is a great view of the surrounding area and specifically the Roman cardo below. The monumental steps leading to the temple were redone with the rebuilding of the temple during the reign of Septimus Severus (193-211CE). From there we walked to the ruins of a small 7th century Byzantine church with Crusader additions where according to one tradition the head of John the Baptist was kept. It’s then a short walk back to the square. In walking through the forum I noticed a section of a fine marble lintel with egg and dart carving. 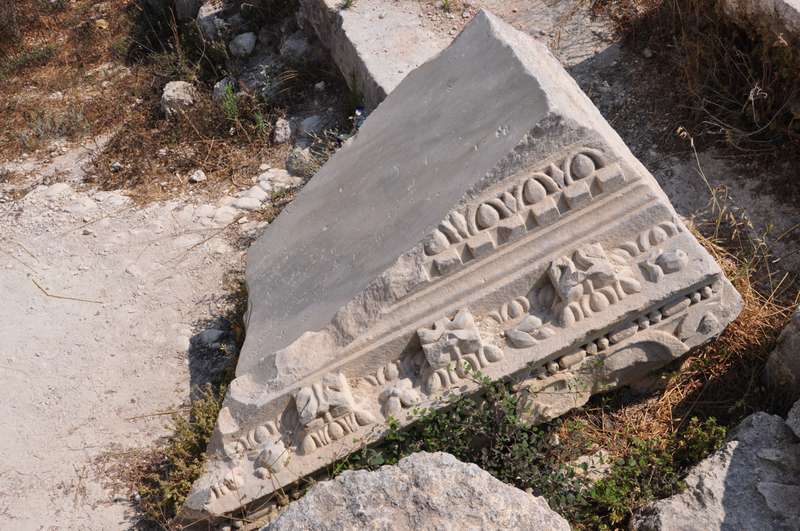 A great day trip that I would be happy to guide – the ruins at Mount Gerizim and Samaria-Sebaste. To fill out the day, you can cross Samaria to the Jordan valley and add some of these sites: the mosaic zodiac at Bet Alfa synagogue, the archaeological site at Bet Shean, the Crusader fortress at Belvoir, the monastery in Wadi Qelt, the mosaic museum at the Inn of the Good Samaritan depending on your interests. This entry was posted in Archaeology, Architecture and tagged church, monastery, mosaics, Roman ruins, Samaritan on July 18, 2012 by Shmuel Browns. Is this site open to the public everyday? I would love to go sometime, looks spectacular! FWIW – the road to the site via the village of Sebaste is much better than the old “normal” way in via the colonnaded street. Although two turns within the village are tight — we have had 10+ buses enter the site this way. Looks like this is one we have to do together Shmuel….reminds me of our last off the beaten track trip together:) you are something! 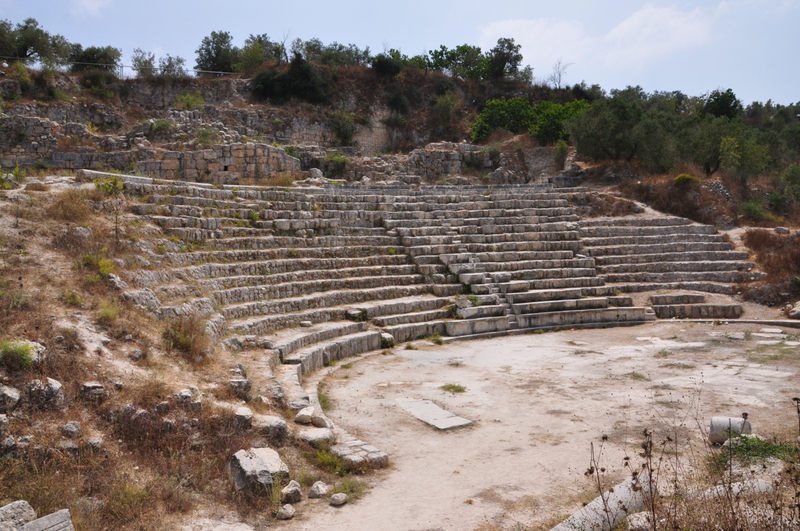 The monumental steps leading to the temple at Sebaste built by Herod were redone with the rebuilding of the temple during the reign of Septimus Severus (193-211CE). I was in the Forum in Rome this summer on the first of Av, the period that commemorates the destruction of the Second Temple in Jerusalem by Titus and sat under Titus Arch. Walking along the main passageway I came to the larger arch of Severus – from Sebaste and Jerusalem to arches of Titus and Severus.